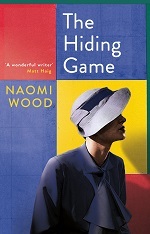 Picador will publish award-winning author Naomi Wood's third novel, The Hiding Game, in July. Publishing director Francesca Main acquired UK and Commonwealth rights from Cathryn Summerhayes at Curtis Brown. Hoffmann und Campe has acquired German rights. According to the acquisition statement: 'The Hiding Game opens in 1922, when Paul Beckermann arrives at the Bauhaus art school and is immediately seduced by both the charismatic teaching and his fellow students. Eccentric and alluring, the more time Paul spends with his new friends the closer they become, and the deeper he falls in love with the mesmerising Charlotte. Naomi Wood is the author of Mrs. Hemingway, which won the British Library Writer's Award and the Jerwood Fiction Uncovered Award. It was also shortlisted for the Dylan Thomas Prize and selected for the Richard & Judy Book Club. She is a senior lecturer in creative writing at UEA and was chair of judges for the Goldsmiths Prize in 2017. Main said: "I loved working with Naomi on Mrs. Hemingway and am thrilled to be publishing her magnificent new novel, which reads like The Secret History set in the intoxicating atmosphere of the Bauhaus. Beautifully written, powerful and suspenseful, this is a story about the dangerously fine line between love and obsession, set against the most turbulent era of our recent past." Wood said: "I've always been obsessed with the Bauhaus - its creativity, its culture, its craziness - and researching this novel has been a labour of love. 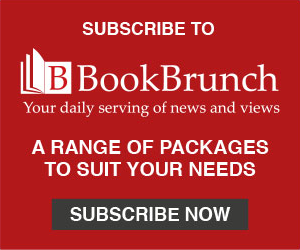 I'm thrilled to be working with Francesca and the whole team at Picador once again." Picador's publication on 11 July coincides with the centenary of the art school and will be supported by events and media activity.